Due to circumstances beyond our control, the 2019 Great Train Weekend has been cancelled. Unexpected trackwork has been scheduled and will conflict with our event. Of course, the safe maintenance of the track takes priority over our event. There are also two other important historic rail events this year – the 150th anniversaries of Bowenfels and Goulburn – and we encourage you to support those events. 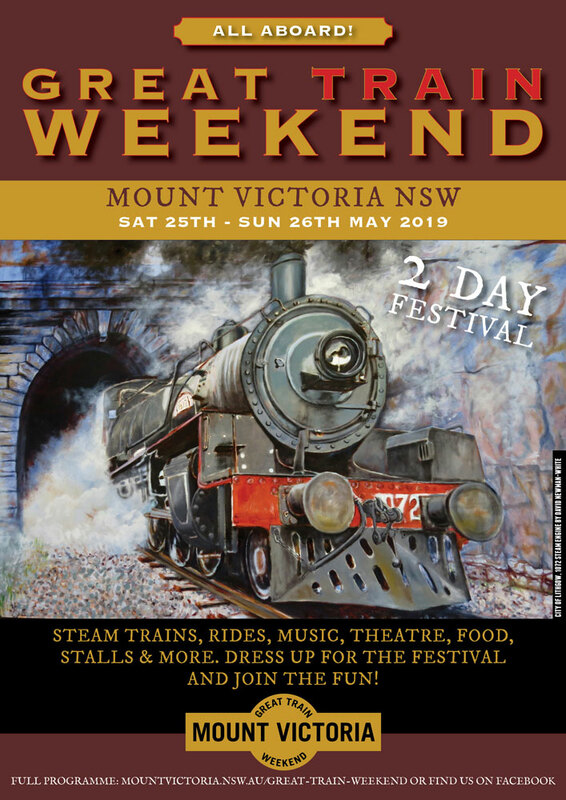 Follow the NSW Rail Museum Facebook page and https://www.nswrailmuseum.com.au/events for more information. Our hard working volunteers are already focussed on turning this year’s disappointment into making the 2020 Great Train Weekend an unforgettable experience and hope that you’ll be able to join us on the last weekend in May next year instead. Please accept our apologies for any inconvenience that’s been caused. The 25th and 26th May – Railway Museum Interactive Ghost Hunts are still going ahead. Where? In Mount Victoria NSW! Please note: there are no ATMs in this part of Mount Victoria. The nearest ATM is at the Caltex station at the top of Victoria Pass, or in Blackheath.